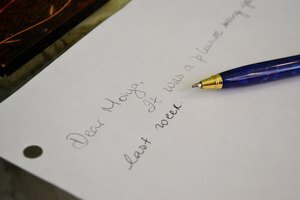 Teaching left-handed children cursive is a different process, but not an impossible one. Teaching left-handed children cursive is not more difficult than teaching right-handed children, it's just a different process. 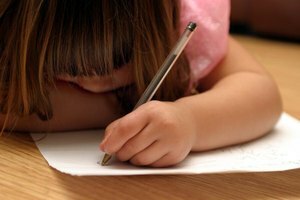 It can be difficult for a left-handed child to visualize what she is writing when her left hand covers what she has just written, whereas a right-handed child can see the progress of her writing to the left of her right hand. In such a case, traditionally proper pencil and paper position are instead detrimental. 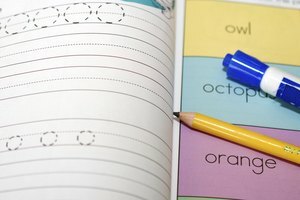 Left-handed cursive worksheets, in which the cursive letter for copying is on the right side, where the child can see it — rather than on the left side, where her hand covers it up — can help a left-handed child learn to write with little or no difficulty. Assign left-handed students to left-handed desks and right-handed students to right-handed desks, if both are available. 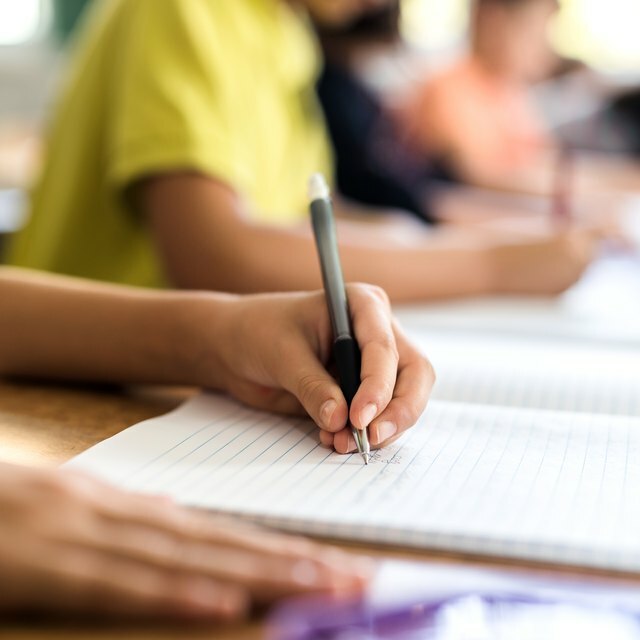 A left-handed student will not be able to write properly at a right-handed desk, because her right arm, which should rest as she writes, will not have a arm rest available; conversely, her left arm, which she uses to write, will be impeded by the arm rest. Hand out left-handed cursive practice worksheets to left-handed students and right-handed cursive practice worksheets to right-handed students. Left-handed worksheets have instructions and letters for practice displayed on the right side, where the left-handed student's hand doesn't cover them up while writing. 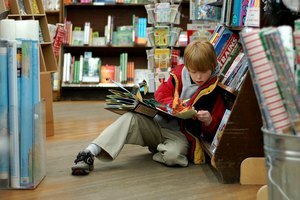 Some left-handed practice worksheets are available in the "Resources" section. Teach the left-handed pencil position as well as the right-handed pencil position. In the left-handed pencil position, the forearm rests on the desk, and the hand rests on the little finger. The wrist should be bent slightly back, and the thumb should hold the pencil on the right side, with the index finger holding the pencil on the left side. The pencil should rest on the middle finger. The pencil should be held about 1 1/2 inches higher than normal, and the wrist should not hook. Call each student up to practice on the chalkboard. This will allow you to monitor the left-handed students' writing positions and style while avoiding singling them out. Writing on the chalkboard gives lefties free arm movement, making it easier for you to spot and correct mistakes in their writing style. Pay close attention the common left-handed mistake of reversing the letters "d" and "b" and "p" and "q". Luke, Marianne. "How to Teach Cursive Handwriting to Left Handed Kids." Synonym, https://classroom.synonym.com/teach-handwriting-left-handed-kids-8091211.html. Accessed 24 April 2019.